Have you been suffering from bad breath or pain in your tonsil area recently? The cause could be undetected tonsil stones! If this is the case, you'd probably like to know how to remove tonsil stones you can't see. While they are uncomfortable and cause a host of symptoms, they are also easy to remove if you know what to do. Whether or not you have heard of tonsil stones, this article aims to help you understand the condition, its causes and symptoms. It will also offer advice on how to remove the tonsil stones and how to prevent tonsil stones from coming back. How to Remove Tonsil Stones You Can't See? When Do You Need to Remove Your Tonsils? How to Prevent Tonsil Stones From Happening Again? In Conclusion: How To Remove Tonsil Stones You Can’t See? Tonsil stones are also known as tonsilloliths. They are foreign objects that are caused by a buildup of food particles, mucus and dead cells that accumulate in the natural crevices in your tonsils known as tonsillar crypts. These crevices when crammed with debris become a natural home for bacteria. The tonsils are your body’s first defense mechanism working to keep you free of infection. The tonsils capture bacteria and other invaders when they pass down your throat. White blood cells attack these accumulations causing them to calcify and form tonsil stones. Most will fall out and pass through your system, but some get stock and continue to grow in the tonsillar crypts, attracting more bacteria. These benign masses are white or yellowish and look like spots in the throat or on the tonsils. The bacteria can cause inflammation and of course infection. Bad dental hygiene - Everyone has bacteria in their mouth. Bacteria are necessary for the digestion of food and are present in our saliva. To keep bacteria at bay you must brush your teeth regularly, floss and use mouthwash. Your diet can contribute to the development of tonsil stones. You should ensure that you stick to a healthy diet rich with plenty of fruit and vegetables. Avoid too much dairy. Tonsil stones are more likely to develop in people who suffer from sinus as the post nasal drip can end up collecting in the tonsillar crypts. Medication that causes a dry mouth can also encourage the development of tonsil stones as it creates an environment that promotes bacterial growth. Genetics – some people inherit a predisposition to develop tonsil stones. Bad breath - Because there is a build-up of bacteria in your tonsils, they will start producing foul-smelling sulfides making your breath smell bad. You may also have a slightly metallic taste in your mouth when you swallow or eat or a putrid taste which keeps returning even after you’ve brushed your teeth. Discomfort as if there is something stuck in your mouth or tonsils. What would happen if you left these tonsil stones alone? Fortunately, tonsil stones are NOT dangerous, but they can cause discomfort. That doesn't mean that you should not deal with them. The stones usually continue to grow one layer after another as more and more debris enters the tonsil crypt that houses the stone. Having these types of stones could signal issues with oral hygiene, as those who are most susceptible tend to have poor oral hygiene habits, which could lead to tooth decay, oral infections or gum disease. If tonsil stones are left untreated, bacteria will begin to breed. Just like dental plaque, it can cause cavities. That is why it is crucial to remove them as soon as you can. We have scoured the Internet looking for products that will help the many people anxious to deal with the problem of tonsil stones and found two instructive products which explain how to remove tonsil stones. We believe that these offer the best step by step approaches to removing and preventing a recurrence of the tonsil stones. Allen Thompson is a nutritionist, and medical researcher who happened to suffer from tonsil stones and so decided to use his knowledge to find a cure. He finally found a permanent fix for tonsil stones, and now he has made that cure available so that others can benefit. Follow this simple route to curing tonsil stones, and you'll say goodbye to tonsil stones for good. This product offers a simple approach to removing tonsil stones in a pain free-way, and 100% naturally. While it did produce effective results, it was not as simple or effective as the preceding product. A step by step instruction book in e-book format on how to rid yourself of tonsil stones in just three days. No surgery, no pain. Clear your bad breath. Get up close and personal again. Get rid of the discomfort caused by tonsil stones. Correcting your diet is key to reducing the occurrence of tonsil stones. The book will teach you what foods you should be eating. It is full of tasty recipes to help you to a healthier way of living. Find out why you are pre-disposed to tonsil stones. Tonsil stones are a symptom of other health problems. Find out what these are and how to fix the problem at source. Find a natural way to get rid of tonsil stones for good, without the side effects of antibiotics. A pain-free home removal system for ridding you of tonsil stones. You'll learn the four leading causes of tonsil stones and discover how you can avoid them. The step by step guide will teach you how to eliminate smelly tonsil stones within seven days permanently. The pack contains a video and written instructions on what to do. 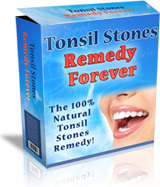 It offers recipes for simple remedies that you can make in your home for the eradication of tonsil stones. Learn how your diet promotes the growth of tonsil stones and what foods you should rather eat. Learn how to rid yourself from tonsil stones forever, even if they are severe. Learn to adjust your diet to prevent tonsil stones. Eat the right foods and remove tonsil stone promoting foods from your diet. Learn how to remove tonsil stones without pain or gagging. A seven-day step by step approach for ridding yourself of tonsil stones. Freshen up your breath along with your social life. "Natural Herbal Cures and Remedies." Learn how to self-medicate using herbs instead of using chemical medications which can cause so many side effects. Get well naturally after you have learned how to mix naturally occurring plant materials to overcome health problems. Live longer and stay healthy using Nature's medicine cabinet. "Curing Halitosis the Natural Way" Halitosis or bad breath can have a devastating effect on your confidence and your social life. This e-book offers you cures from the East and the West to help you to overcome the problem. It also tells you how to check for bad breath. "Home Detox" offering advice on weight loss, detoxification and recovering from drug addiction. "Dental Care and Hygiene for You" Your teeth can be your most beautiful asset learn how to look after them properly with this free e-book. "Bad Breath No Longer" Learn what causes bad breath and how to overcome it. You have nothing to lose. If you are not happy with the product or if you still have your tonsil stones after using the advice in the e-book return it within 60 days for a full refund. If you are not happy with this product, you can return it within 60 days and you receive a full refund. While either one of these products offers excellent insights into home remedies for the eradication of tonsil stones, Allen Thompson’s "Fast Tonsil Stones Cure" cleared the tonsil stones quickly in just three days, and they did not return. The book has been written by a man qualified in the area of nutrition and medical research, so this should come as no surprise. The second product certainly did offer plenty of practical and dietary information, but the process was slower and just a little bit more complicated. The best value for money is, in our view, the "Fast Tonsil Stones Cure." Even if you have decided to buy one of these instructive products you may want to start right away with your own home remedies. Below are a few easy to use home treatments. Remember however that the permanent eradication of tonsil stones is reliant on lifestyle changes that includes diet and oral hygiene. Gargling with salt water is one of the common ways you can cure a sore throat. The same is true for tonsil stones. Using mouthwash or salt water prevents the stones from accumulating while helping to freshen the breath. It can also remove and flush out debris. 1. Mix all the ingredients. Before gargling, make sure that the water is not hot but warm enough for comfortable gargling. 2. Gargle well, letting the water and salt reach the back of your throat. 3. Spit out the water and repeat until you have finished the cup. 4. Repeat this method two to three times a day for effective results. If the tonsil stones are big enough and can be felt, then you can use cotton swabs or even a finger to get rid of it. Alternatively, you could purchase a tonsil stone tool kit. They are not very expensive and can do an effective job removing tonsil stones. 1. Take your finger or cotton swab, pushing it into the area of tonsils where the stones are located. Use a mirror for this. 2. Move it a bit until you have dislodged them. Make sure that you do this gently with only enough pressure for the stones to pop out of the pockets. 3. Once you have taken the tonsil stones out, rinse your hands or discard the cotton swab. Clean your mouth. Apple cider vinegar can dissolve tonsil stones, but make sure not to use it undiluted. You may want to know more about side effects if using too many Apple cider vinegar in the article here. 1. 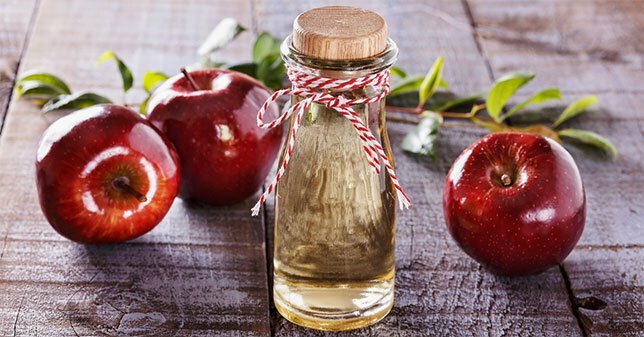 Mix one teaspoon of apple cider vinegar with lukewarm water. 2. Gargle the mixture just the way you would with the salt water remedy. 3. Spit it out and once you have finished the whole glass, rinse your mouth. Do not brush your teeth yet, as the acidity would stain your teeth. 4. Repeat this method two to three times a day until the stones are gone. Garlic and onions have anti-bacterial properties that can help to remove bacteria stuck in your tonsils. 1. 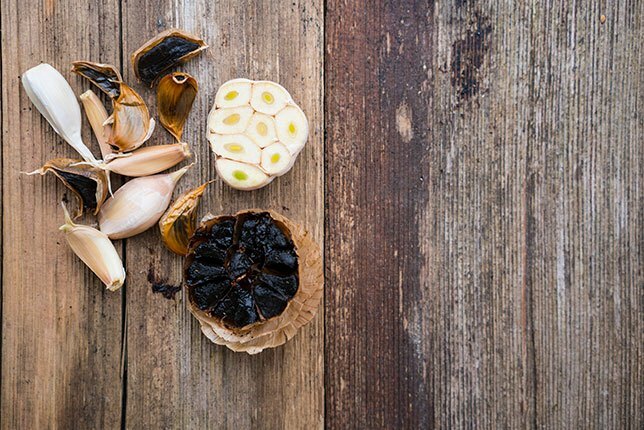 Chew the garlic or onion properly, allowing the juices to run down your throat. I recommend that you chew for about three to five minutes. 3. Repeat this method three times a day until the tonsil stones are gone. 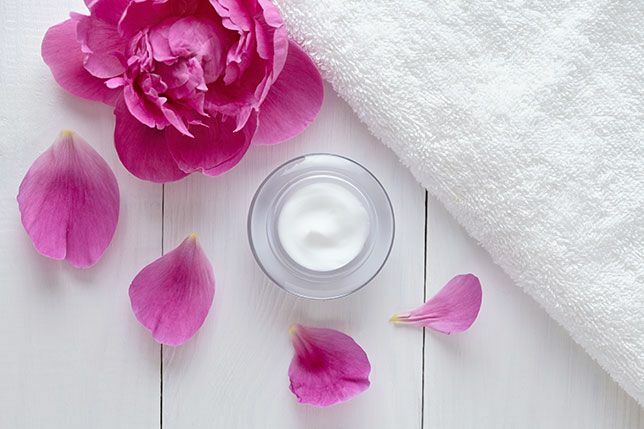 Natural yogurt is another excellent home remedy for tonsil stones as it contains probiotics, beneficial bacteria that help to remove harmful bacteria. A balanced diet rich in probiotics, fruit, and vegetables will help you live a healthy life. Enjoy 100 to 200 grams of yogurt every day, incorporating it into your meals or as a light snack. You’re now familiar with the methods you can follow when removing tonsil stones, but you should also take note of these tips to ensure that you remove them safely. 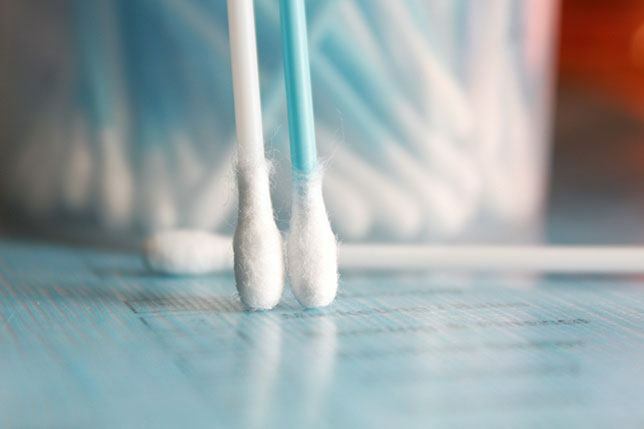 When using a cotton swab or fingers to remove the tonsil stones, do NOT poke or reach too far into the throat, as this would trigger your gag reflex and leave you feeling uncomfortable. For remedies where you consume a liquid or a solid substance, consume only the recommended amount. Don’t go overboard, as too much could aggravate your stomach. If ever you feel discomfort while following any of these remedies, stop immediately. It is also a good idea to see a doctor for advice on what natural treatment will work for you. Also, consult a doctor if you are on medication. For those who with loose tonsil stones that aren’t within reach, light coughing can help to extract it. Try "energetic" coughing and spit out the tonsil stone once it is out, rinsing your mouth well afterward. Now that you know how to remove tonsil stones at home, how will you know when these tonsil stones become so severe that you need medical attention? The only time you will need surgery or medication for your tonsil stones is if they keep coming back or if there are so many stones around the area that you are unable to remove them. Deeply embedded tonsil stones that cannot be removed at home despite these home remedies must be removed by an ear, nose and throat specialist. Amoxicillin is an antibiotic that may help, as it kills bacteria. It is a short-term treatment that comes with various side effects. Furthermore, the tonsil stones may end up becoming immune to the antibiotics over time. 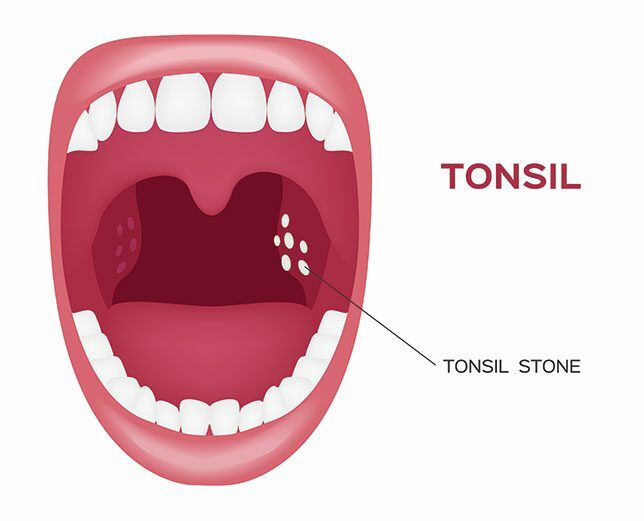 Recurring tonsil stones may require tonsillectomy or the removal of tonsils. This procedure has risks and is considered a last resort. Oral hygiene is key to ensuring that the tonsil stones do NOT recur. Brush and floss regularly and use a mouthwash. Use a tonsil spray, and a gentle oral irrigator to wash your tonsils. This will help keep your tonsils healthy and clean. Visit your dentist regularly to keep your teeth healthy and free from cavities. Avoid alcohol and smoking both of which can lead to a dry mouth that encourages bacterial growth. Learn about lifestyle changes and how diet can affect regrowth. Why battle with the discomfort and confidence-sapping smelly breath that comes along with tonsil stones? Armed with the right information and the confidence to pull it off, you need never suffer the indignity of tonsil stones again. If you have any questions or would like to share your tips and experiences about removing tonsil stones at home, then comment down below. I would love to hear what you have to say.